Do you really need an off-farm job? When I came out of high school, many years ago, I was under the impression that if I wanted to farm, I would need to have an off-farm job. I am not sure how that message was instilled in me as my father did not have one when he farmed. I guess I was told enough that it was just the new norm that a farm needed a good paying job to make it viable. It was not until years later that I took the Ranching for Profit school, that I realized that this is not true. I remember quite clearly the statement from Dave Pratt, “You never hear of someone having an off-mini-mart job.” So why is it that we are expected to have an off-farm job? I also remember how Dave explained the four ways that farms are subsidized. Off-farm work is one. Unpaid labour, government subsidy and appreciating land value are the other three. I would highly recommend to anyone to attend the Ranching for Profit school to learn more about those. Why is it that we need to subsidize our farms? I think it is because we do not understand our margins. In my father’s days of farming, bankers were happier if you only worked on farm. Having an off-farm job was a risk factor. Then that switched to bankers wanting to make sure you had another job to finance anything you purchase. I have also been through a time more recently when our smaller sector of sustainable agriculture producers would criticize you for having an off-farm job or even your wife having a job in town. Even some of the more positive-minded producers in our sector would get critical. First let me clarify my opinion of the off-farm job. I am not for or against them. It doesn’t matter what it is but if you have an off-farm job, I would just like to make sure that it is not subsidizing your farm. And don’t take this too literally. I understand from experience that to get any business up and running, you might need to put in some blood, sweat and tears, and maybe some money from another source. Every year is different, too. We have good years and bad years but in the end, our farms are businesses and they need to be treated like one. The late Allan Nation had a great way to look at building a business. It is like raising a child. They start out as infants that require constant supervision and care. You change a lot of dirty diapers to begin with. Then the business matures into a child where you can back off and let them play but you need to be there to correct them when they go off track. Then your business becomes a teenager. You need to give them some responsibility to see if they can grow on their own. They might need to go through some hard times but you are still there to help out if needed. Finally, they become an adult and your business should be able to survive without you. If you have instilled the proper morals, values and life skills, you should have a viable business with little supervision. Farm businesses are no different, but why then do they need an off-farm job? As an example, let us assume that your household requires $60,000 of income. Either one person could have a job that pays $60,000 or two people could work to get a combined income of $60,000 to support the household. Now let’s look at this on a farm. If the farm can only generate $40,000 in wages to be paid out, then there is a shortfall of $20,000 that will be needed to support one household. If you cannot expand or develop another viable profit centre, someone will need to work off-farm to bring in the $20,000. As long as there is no “unpaid labour” planned in this scenario, I am perfectly okay with this. Maybe there are two households that need to be supported on the farm but the farm can only generate enough to pay wages for one. Somehow, the shortfall will need to be made up by one or more of the parties involved to survive. There is nothing wrong with having another source of income. Where I have a problem is when the farm loses $10,000 each year and my off-farm income now needs to bring in $70,000 for my household to receive the needed $60,000. My off-farm job is now subsidizing my farm. I also don’t want to have my farm paying me $60,000 worth of wages but I am putting in $80,000 worth of labour. Unpaid labour is another subsidy. I despise the term “unpaid labour,” but I will be the first to admit that I have done it. I just don’t want to plan for it. 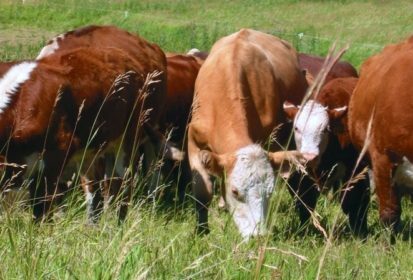 Steve Kenyon runs Greener Pastures Ranching Ltd. in Busby, Alta., 780-307-6500, email [email protected] or find them on Facebook.